GranBrazil Inc. is a direct importer of granite, marble, and quartzite slabs from countries around the world such as Brazil, Italy, and China. Along with natural stone, GranBrazil also stocks quartz slabs for those looking for a product 100% maintenance free. With hundreds of in-stock slabs to choose from, GranBrazil can help you update your home, kitchen, bathroom, or patio to help match what you are in search of! Along with a huge selection of inventory, GranBrazil also offers a quick turn-around to provide you with the best results possible. GranBrazil's showroom and slab yard is located at 170 Clifty Drive, Madison, IN. GranBrazil is a stone slab importer keeping a large inventory of granite, marble, quartzite & quartz slabs in stock to give you a huge selection & a quick turn around for installation of your counter. Natural Stone & Tile designers share your passion for livable spaces, featuring products from top designers around the world. We’ll work with your designer, architect or builder from initial consultation through final installation. 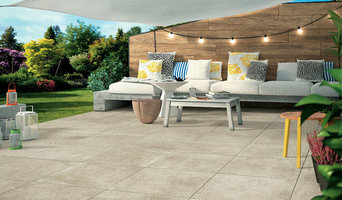 To create beautiful environments, indoors and out. Our clients (and their clients!) know they can visit our expansive showroom to browse product options, explore ideas or just see what new alternatives might be available. Warm, friendly and knowledgable people welcome every visitor. (As do our often present "pups" and always present cat and exotic feathered residents.) We take great pride in presenting options to meet virtually every taste. Our interior product options, expansive and wonderful, are complemented by a full line of exterior products that can help you expand your living space during. We've discovered many of our clients view their outdoor environments as important parts of their daily lives. Our products can turn those spaces into showcase areas for you and your guests. We hope to see you soon! We repurpose granite scraps from fabricators and turn them into beautiful split face granite tiles. These tiles are perfect for any vertical surface in your home. 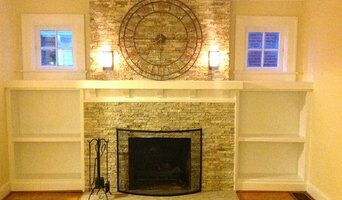 Including kitchens, bathrooms, showers, tub surrounds, outdoor kitchens and fireplaces, indoor fireplace resurfacing. We provice either product only or installation as well. We ship nationwide and deliver free in central Indiana. 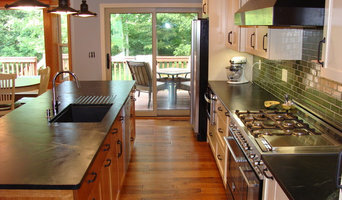 Elemental Design Corporation is truly a custom countertop one stop shop. We craft all of our countertops out of high quality materials that last. Unlike other companies we have crafted workmanship creating seamless designs with attention to every detail. Quartz, Granite, Marble, Dekton, and Corian are all fabricated in house. We create a flawless finish, our seam work, miter edges, and waterfall details are of the highest quality. We are well known for our commercial work and our ability to offer high quality for a reasonable price. Elemental Design partners with some of the most sought after clients. There is a reason why these companies depend on Elemental Design. Elemental Design was founded on old school principles that apply value, craftsmanship, and design. We back up everything we do with industry leading customer service. What makes us different: Our philosophy: · Each project has different needs. We always work to meet those needs. · Personalize your product · We are transparent engaging directly with each customer on every step of their project. · We obsess over our customers, not our competitors. · We offer the highest quality solid surfaces finished to taste and artistic preference · We are certified fabricators · Social Hubs, Custom Desks, Tables, Miters, Waterfalls · We offer Solid Surface countertops. (Corian). · We deliver on time. Your time is important to us! Manufacturers of granite counter tops, vanity tops, and fireplace hearths. We help our customers make their dream kitchens and provide customer service that exceeds their expectations. There Is an Enviromentally Friendly Solution! Resurfacing countertops with an ecofriendly spray-on application is a revolutionary idea that can quickly transform your kitchen or bathroom countertop into a modern masterpiece. There is very little disruption to you; your kitchen or bathroom remodeling will be done in a few hours and will be backed by a 1-year warranty! Our trained technicians can repair any burns, dents, scratches, uneven seams, broken laminate and water damage. They will carefully cover the cabinets, back splash, sink, floor and any other items in the area where the countertop will be resurfaced so that they will not get damaged. They will then spray your choice of one of our many colors on your counter, leaving you with no mess and a beautiful new countertop. Our new rapid curing seal coat technology provides an incredibly durable finish and leaves your countertop ready for use that evening. In the unlikely event your countertop gets damaged in the future the technician from ecocountertopsUSA can come back and do an invisible patch for a nominal fee, leaving it looking like new again. We're more than just flooring! Come in and visit our New 1000 square foot cabinetry and countertop showroom. We can design your remodeling project from the ground up! Best of HOUZZ 2014, 2015, and 2016! Also a HOUZZ Influencer. The story of WWI Vet, Domenic M. Santarossa, who founded Santarossa Mosaic & Tile, is not unlike the stories of many European immigrants who came to America through Ellis Island in the early 20th century. Santarossa had left his native Italy at the age of 13 to study the terrazzo and mosaic trade in Bremen Germany, and in 1913, he arrived in the United States at the age of 20 to build his future. In 1920, he settled in Indianapolis and, a year later, moved his business into the building the firm still occupies on the city's east side. Joining with Louis Toffolo, his partner and lifelong friend, they incorporated in 1924. Constance "Connie" Toffolo (Louis' nephew) and Carlo Toffolo (Louis' son) later joined the organization. Domenic's son Mario joined the business in 1948 after completing training as an architect at Notre Dame, and today, a third generation of the Santarossa family continues to work at the company, following in the tradition of excellence set forth by Domenic Santarossa over 90 years ago. Caledonia Stone & Tile offers a wide variety of stone and tile products ideal for both commercial and residential application. Choose from hundreds of natural stone,cement, glass, porcelain, slate, terracotta, mosaic, and handmade tiles. Come visit our showroom in Indianapolis, Indiana. 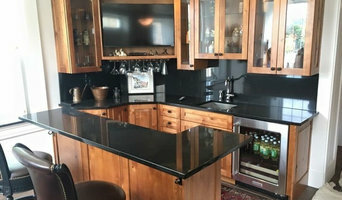 Signature Countertops, Inc. is a natural stone fabricator specializing in Granite, Quartz (All Brands), Marble, Quartzite, and Soapstone countertops. Our highly trained team of natural stone artisans are standing by to help make your natural stone countertop dreams a reality! Call us today for your FREE in home estimate! Vicci Design is a high-end producer of quality glass products to help bring your home into the 21st century. We have knack for design and a passion for beautifying houses all over the world. Let us help you make your home your getaway. Tile, stone and countertop projects might not sound especially complicated, but they can be surprisingly hard to get right. Seeking expert assistance can help homeowners save time, money and frustration. Contractors who specialize in this field are trained to install and repair tile and stone surfaces in your Columbus home, from flooring to backsplashes, as well as countertop materials such as solid surface, granite and marble. If it involves tile, stone or another countertop material, odds are this pro can tackle the job. With comprehensive knowledge of which surfaces will work best in various locations within the home, Indiana tile, stone and countertop contractors can help you select the ideal material for the intended application. Some focus on kitchens and bathrooms, while others handle outdoor projects, such as walkways. In addition to basic surfaces, many Columbus, IN tile, stone and countertop contractors can create and install murals and mosaics, as well as add decorative edge treatments to countertops. They also repair or replace surfaces in the event of chips, cracks, stains or other damage. Many tile, stone and countertop professionals also install shower pans, radiant-heat flooring systems and other common components of surfacing jobs, often working in tandem with Columbus, IN plumbers or other professionals. Here are some related professionals and vendors to complement the work of tile, stone & countertops: Interior Designers & Decorators, Architects & Building Designers, General Contractors, Kitchen & Bath Designers, Design-Build Firms. Find a tile, stone and countertop contractor on Houzz. Narrow your search in the Professionals section of the website to Columbus, IN tile, stone and countertops. 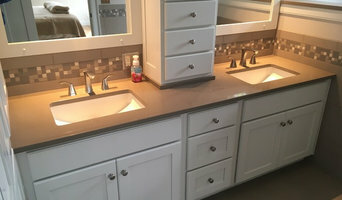 You can also look through Columbus, IN photos to find tile, stone and countertop projects you like, then contact the contractor who worked on it.